Based on the Original Fastmag design, this pistol variant offers the same great features to another caliber class. The open top design reduces reloading time for the operator and can be mounted in the up or down position. The enhanced urethane tension strap is adjustable to meet the users preference for removal tension. 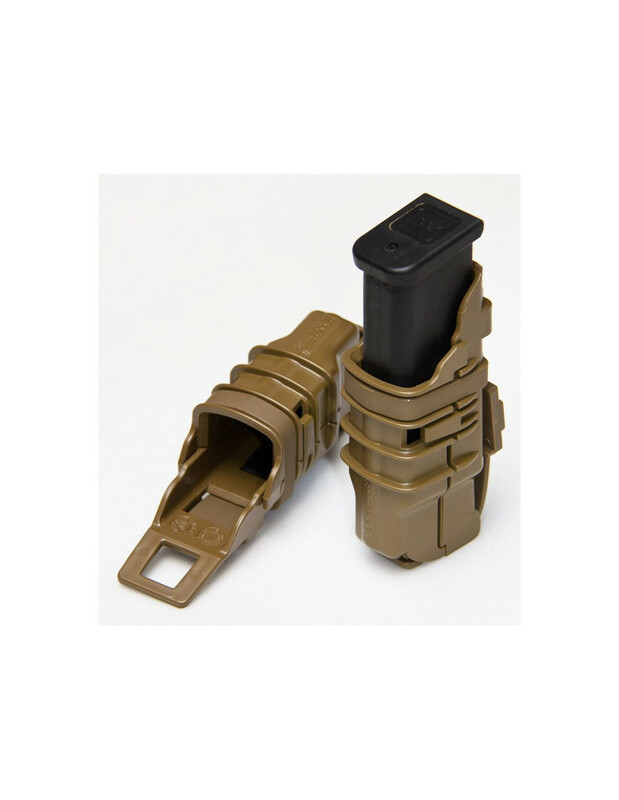 The FMP is also designed to 'double-stack' on all FastMag™ Gen III & FastMag™ Heavy. Two versions are available with one having PALS stabilizers for a very secure fit into PALS webbing and a no fin belt version. The Belt version comes with an adjustable/removable belt slide that fits most belts including rigger and duty belts. 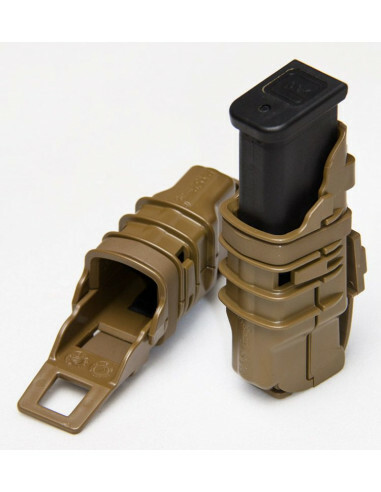 The FMP Duty belt is also uniquely designed for 'double-stacking' by removing the adjust belt slide.